I mentioned in a previous blog post that something exciting was appearing over the horizon. Well, here it is! 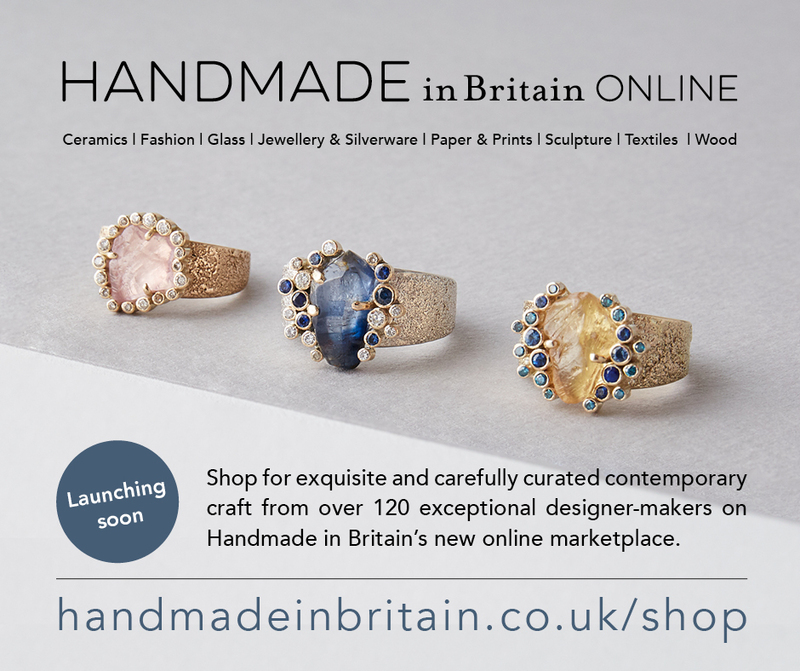 I am very pleased to say that I have been selected, along with over 120 talented designer-makers, for Handmade in Britain’s new online marketplace, Handmade in Britain Online. The brand new website will feature ceramics, fashion, jewellery and much more contemporary craft, all handmade by independent designers in the UK. The site launches tomorrow at https://www.handmadeinbritain.co.uk/shop. Please pop over and have a look - you can get 10% off your first order and everything!